Becoming a ski instructor sounds like one of the coolest things you could do on your gap year or career break. Not only does it give you the opportunity to live in a ski resort for an extended period, you’re also going to (hopefully!) return with a qualification or two at the end of it. Whilst this may all seem great in theory, how do you get the ball rolling to make your dream a reality? For most people, the answer is to take part in a ski instructor course. These courses can vary in length between 4-11 weeks. You need to know that you are going to enjoy spending a season out on the slopes, potentially in temperatures around -20oC, skiing most days. Whilst recreating the temperature might be a bit tough, you can get used to skiing before starting your season. In many big towns and cities you can ski indoors on real snow, such as the popular Snow Centre in Hemel Hempstead. Even if you are an experienced skier, you would be wise to brush up on your skills, and get your ski legs back, just before heading overseas. Most courses will require you to be a low/intermediate skier, comfortable with skiing on blue runs and linking your turns, before arriving in resort. 2. Where do you want to ski? This is probably one of the first thoughts that you will have about becoming a ski instructor, what sort of slopes – and what views – will you want to enjoy each day? Most ski resorts around the world have links with companies offering instructor courses. You just need to think about where in the world you want to be. Consider the snow conditions but also visa eligibility criteria for the country you want to visit. With Oyster you could choose to ski in Austria, Canada or Romania for the ski season. 3. Do your research and know what you are paying for! Ski courses are not cheap and should be seen as an investment. It is really important to do your research and know exactly what you are paying for. There are loads of courses out there, all over the world. Take the time to find the right ski instructor course for you. The important thing to know is that each course will include different things. Some will include Level 2 qualifications, others won’t. Some will include travel insurance or flights, others won’t. When comparing programmes and prices, make sure you compare like for like. One idea could be to list what it is you are looking for and then look at each programme and tick off the elements that they provide on your list. The programme with the most ticks, could be the one for you – if the price is right! Most resorts will work with companies to organise the programmes and recruit participants. In most cases, you won’t be paying your money to the resort directly; instead paying a company that will organise your accommodation and other activities as well. If you are looking to become a ski instructor to start a new career, think about the type of qualification the course offers, and whether that is enough for you to be able to approach other ski schools around the world for employment. Generally, the BASI Level 1 is sufficient to find work in North America, New Zealand, Australia and Japan. If you are training under the Canadian system (CSIA), you will need to get to the CSIA Level 2 to be able to find work outside of Canada. You may find that there are recruitment possibilities in the resort that you have trained in. From the resorts point of view, they know how you have been trained and how you have performed on the course, so may be keen to recruit you and not lose you to another resort. Most of us would consider ourselves to be lucky to spend a week or two skiing each season. I’d put myself in this category and, for me at least, skiing is exhausting! The importance of arriving fit and healthy cannot be underestimated, particularly if you are going to be skiing every day for 11 weeks! Put together a plan to get more active before you begin your season. 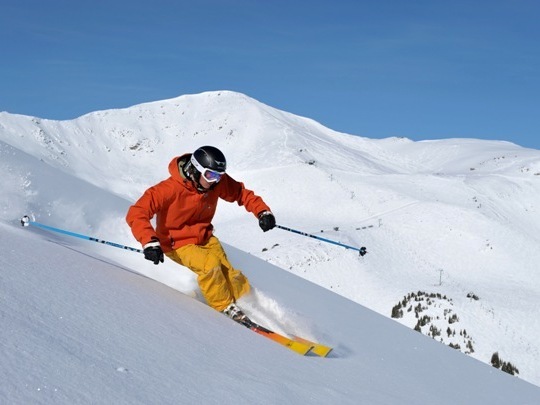 With skiing, you are constantly using both your upper and lower body muscles. Your core muscles work hard to maintain your balance when skiing and your legs and knees are under constant pressure. Hit the gym before you start your season and focus on your core strength and legs. You’ll want to look the part on the ski slopes and arrive with the latest gear. Do remember that this will be an additional cost, potentially quite significant. As with the course itself, research brands and prices before purchasing. Consider exchange rates and the cost of taking skis/boots with you vs. buying on arrival; you may well need to pay an excess baggage charge to the airline. Think about the type of skis you will need. There is no point turning up on day one with a brand new set of powder skis – you are not going to be able to snow plough in those! Our advice is to get good all-round skis that will allow you to control your turns when in lessons and allow you to let loose when skiing on your downtime. If you are buying gear, boots are probably the most important purchase you’ll make. If you don’t own boots already, buy them in the resort where you’ll be spending the season. That way, if they don’t fit, you can go back to where you bought them and get them adjusted. Go for boots that you can get heat-moulded to your feet. I remember skiing in Whistler a few years ago and speaking to an instructor about boots. My rental boots were really uncomfortable that day and she proudly told me that her boots were the comfiest footwear she owned and she felt like she was wearing slippers! 7. Finally… go for it – have a great time! 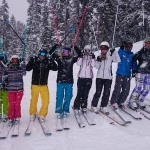 At Oyster Worldwide, we have been organising ski instructor courses for hundreds of people since 2004. We can get up to the standard of being a qualified Level 2 ski instructor in Whistler on our 7 week course in Whistler. If you want to gain a qualification and work in the same season, check out our Whistler ski instructor jobs and Austria ski instructor programmes. Thanks for your interest in becoming a ski instructor. We don’t offer instructor courses in Austria at the moment. Ours are in Canada, France and Romania. If you are a regular to the resort, and know it well, why not try contacting the resort directly to ask about jobs there? My advice for any gap year or career break is to step out of your comfort zone and go to places that you have never been before so I would recommend looking at other parts of the world if you can’t find work in the resort you like in Austria.